This volume provides, at postgraduate student level, an accessible introduction to a topic of central importance in organic synthesis. 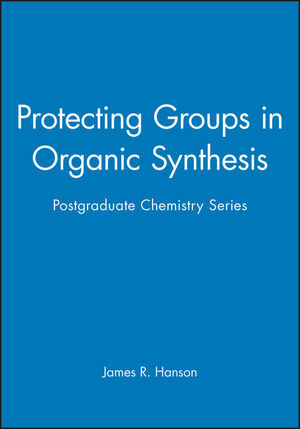 It covers the main functional groups requiring protection in organic synthesis, explaining why a particular protecting agent works and how an agent should be chosen. Emphasis is placed on what a protecting group is doing chemically to the structure that it is protecting. Attention is given to removal of the protecting group. This is a clear and thoughtful book, which concentrates on explaining the chemistry. It also provides a convenient point of entry to the primary literature. James R. Hansen is a professor of history at Auburn University in Alabama. His book From the Ground Up won the History Book Award of the American Institute of Aeronautics and Astronautics in 1988.